Looking for a last-minute zero waste gift? 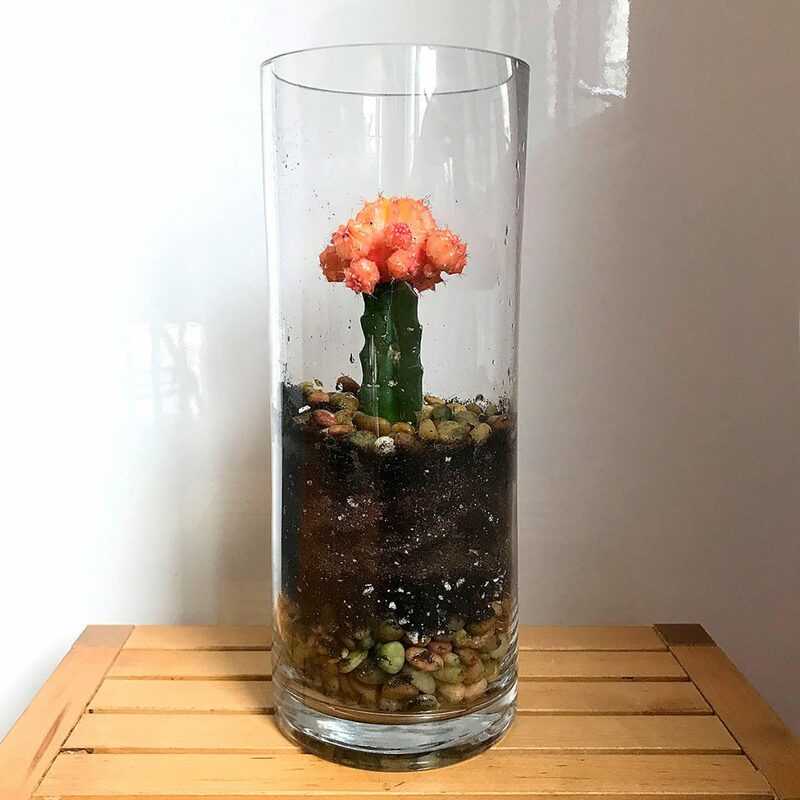 We had fun making this DIY cactus terrarium using an old vase and some river pebbles. We got inspired by some cactus terrariums we saw on display at a garden store for Mother’s Day and decided to make our own with a little cactus we had at home. 1) Layer pebbles on bottom for drainage (depth depends on size of your container). 2) Add some potting soil deep enough to plant your cactus or succulent. 3) Carefully add another layer of pebbles on top.